The Extreme Survival Almanac is a major new book in the field of outdoor survival that is different from anything else on the market. It is written specifically for regular people who may be suddenly forced to survive in the wilderness without assistance, with no planning and with no specialized training or equipment. This remote-area survival manual provides clear decision-making guidelines to walk you step-by-step from the first signs of trouble all the way through to the rescue. It outlines specific courses of action for every type of survival scenario imaginable, including thousands of useful tips, directions and suggestions that can be understood and followed by the panicked, possibly injured layman stranded in the woods, in a vehicle or at sea. 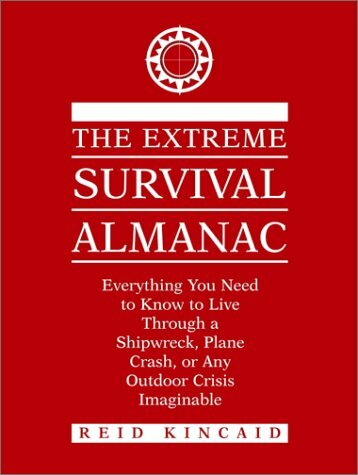 The Extreme Survival Almanac is the most comprehensive, user-friendly survival guide ever written and is essential gear for every travel pack, car, camper, boat or plane. 8 1/2 x 11, softcover, photos, illus., 480 pp.